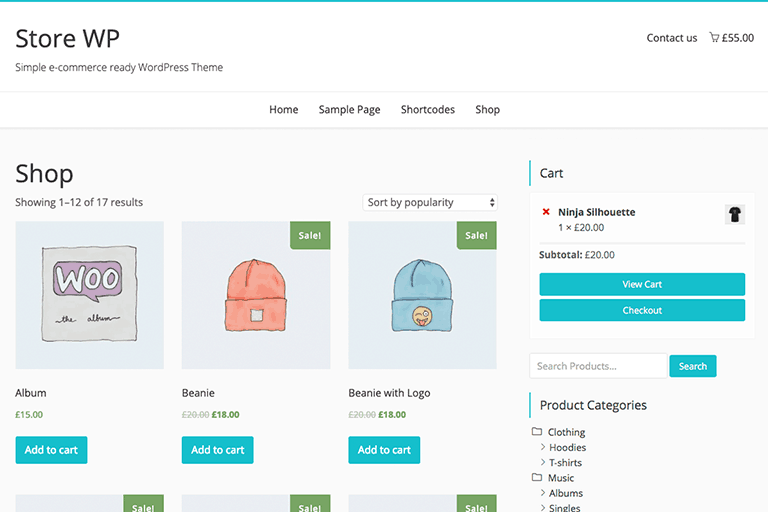 Store WP is the perfect theme for your next blog or e-commerce project. There are several layout & color options to personalize your site, multiple widget regions, responsive design and much more. Fine-tuning your website has never been easier, start customizing your new site with a few clicks of the mouse. Compatible with the latest versions of all modern browsers – Chrome, Safari, FireFox, Opera, IE9 and above. Compatible with the most popular free e-commerce plugins for WordPress: WooCommerce and Easy Digital Downloads. 100% responsive and optimized for mobile, tablets, and desktop computers. Easily translate the theme and make sure that your website is 100% in the language you want. The theme outputs minimal code and no unnecessary styles and scripts being loaded. Built with SEO best-practices in mind and is compatible with the most popular WordPress SEO plugins. We follow WordPress coding best practices, so you can be sure your theme is coded to the highest standards. With Store WP Premium you will have access to tons of new options so you can change your theme appearance and functionalities without writing custom code. All themes can be used for lifetime. Subscriptions are set to automatically renew so that you will continue to receive updates and support after one year. If you would prefer not to renew, you can cancel your subscription at anytime. © 2015-2019 Iografica Themes by iografica - p.iva: 02665390593.